We identify these political and geopolitical uncertainties and risks that could impact you. Becoming aware of the ramifications of apparently far away geopolitical developments is the necessary first step to significantly reduce political and geopolitical uncertainty and the dangers inherent to this uncertainty. We start with the beginning: your activity. Through in-depth and holistic discussion with you, we consider the entirety of your activity. Considering your activity, we then proceed to an identification of political and geopolitical specific uncertainties that could impact you, among all the current political and geopolitical phenomena unfolding and their potential evolutions. You thus benefit from all our work and research but adapted to your specific needs. Each uncertainty will be ranked according to various criteria, relevant to you – and including opportunities – to allow you selecting those uncertainties that must be attended to most urgently and deserve an in-depth strategic foresight and warning analysis. Do not hesitate to contact us to inquire about geopolitical uncertainty exposure diagnostic. In-depth and holistic view of your activity, from your vision, objectives and strategy to operations through financial needs and human resources. Scanning and weak signals. An ongoing scan of the political and geopolitical environment allows for detecting weak and less weak signals of potential change. Thinking sequentially and multi-dimensionally is privileged, for example through mapping. As a result, beyond immediate events with direct impacts, we evaluate how issues could propagate and potentially start impacting you, indirectly, for example through states’ answers to threats. Capability to and experience in properly handling sources and their messages, including using propaganda to decipher trends and intentions, developed through practice of research and analysis at the highest level and applying intelligence analysis methodology regarding information. Mitigation of more than one type of biases, thus going beyond most commonly known cognitive biases, and thinking outside the ideological box. Our diagnostic can be done in both French and English. Contact us to inquire about geopolitical uncertainty exposure diagnostic. 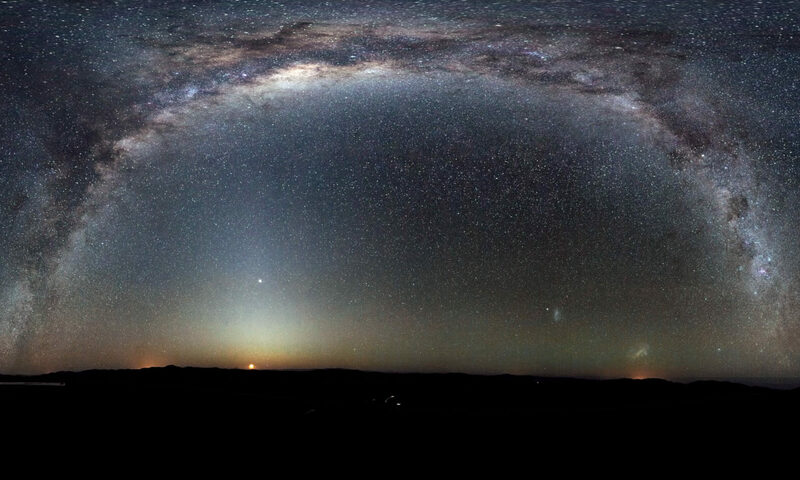 Featured image: Rare 360-degree panorama of the southern sky by ESO/H.H. Heyer.